One side of mine that I've not really shared with you, is that I'm an avid collector. I'm not kidding, I use to collect stamps and comic books as a kid (not referring to them as graphic novels, cos let's face it, it was just "Archie"), magazines later on, those Titanic movie stickers (I think I'm still missing one of those), you name it! So, I thought I'd share with you one part of my beauty collection that I'm most proud of: it's none other than my limited edition, for the most part, engraved face powders. Yes, I have no problem admitting that a lovely carved design lures in me at the drop of a hat, because these are so much more than makeup items in my eyes: they're mini works of art! In fact, some of them are so lovely that I've yet to dip a brush or finger into them - hence the lack of swatch photos! I do intend to try all of them out though... juuuust not today! 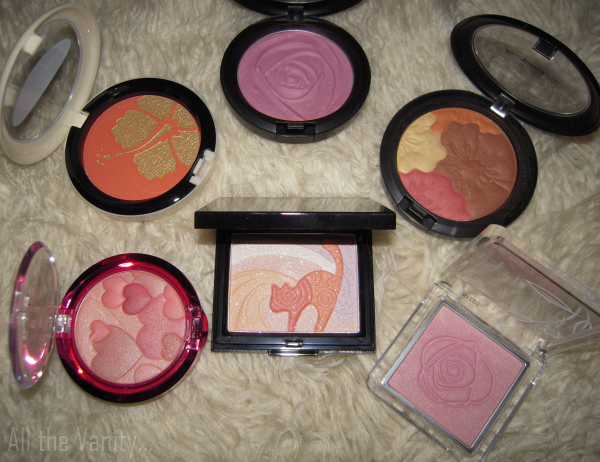 3: (from top left) MAC My Paradise Cheek Powder, MAC Summer Rose Beauty Powder, MAC Pearlmatte Face Powder, The Body Shop Roseflower Blush in Pink, Holika Holika blush in 01 and Physicians Formula Happy Booster Blush in Natural. Hope you enjoyed this post - let me know if you'd like to see more of these in the future! Do you collect specific limited edition beauty or beauty related items? This post is right up my alley!! Beautiful collection!! And yes, please share more! I think my heart just skipped a beat...! !I don't consider myself a serious collector as such. I do like my LE packaging items but this is quite the collection hun!Absolutely lovely. 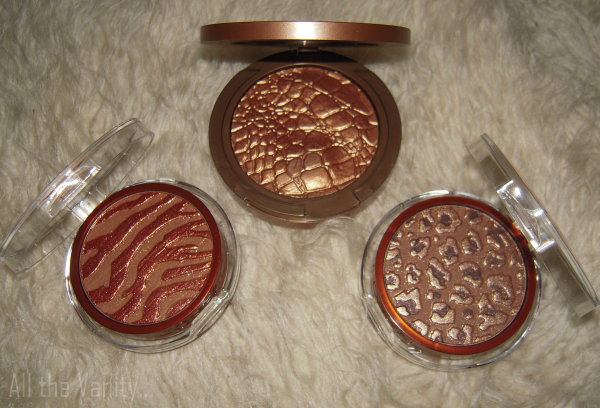 I am especially jealous of the Sonia Kashuk and the MAC My Paradise powder!! @Athina: What can I say, I'm a sucker for an engraved anything, truly! Of course, LE packaging is always appreciated (unless its target age group is 12-17, ahem MAC), but these take that LE factor a step (or 10) even further! @Leanne Marie: I always tell myself "this week I'll wear this and show it some love", but I never actually bring myself round to that! @Domniki Chatzaki: Useless? Noooo!!! Never!!! Να πω οτι δε σε νιωθω! Παντα ειχα την μανια να συλλεγω (και να μαζευω απλα) πραγματα -τα περισσοτερα αχρηστα. τι αυτοκολλητα μαριμαρ/παολινα κτλ, τι μικι μαους (δεν εχω πεταξει ουτε ενα).. ο,τι μπορεις να φανταστεις! τωρα μαζευω μολυβια και τετραδια! τι γλυκουλες που ειναι οι φωτογραφιες! πολυ ομορφα! I really can't decide which of them I like looking at the most, it's probably either the Chanel highlighter or the Physicians Formula heart compact! 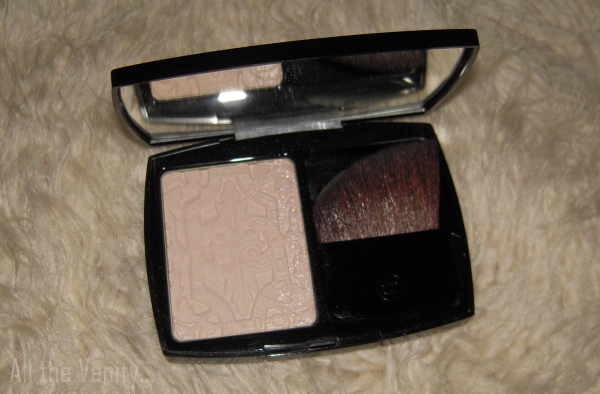 The cat engraving on the Holika blush is the cutest though! ωραία συλλογή!!! το μεσαίο στην πρώτη φώτο εχει τέλει print! @T the Beauty Queen: Yπεροχο, σωστα? Ειχα παθει την πλακα μου οταν το ειχα πρωτοδει!!! @Le Petite Moustache: Holika Holika make some cute engraved blushes, I saw the new owl print, so cute too!! !